As we draw towards the end of the year, we have a tendency to produce lists; top films, music, toys, etc which got us thinking about our favourite marketing campaigns. What adverts caught our eye, which ones annoyed us and which were simply mind blowing. This Christmas John Lewis, in our opinion, have been usurped from the top spot, albeit that their Elton John ad is very good. Aldi’s Kevin the Carrot has been placed well and generated a fair bit of viral response. 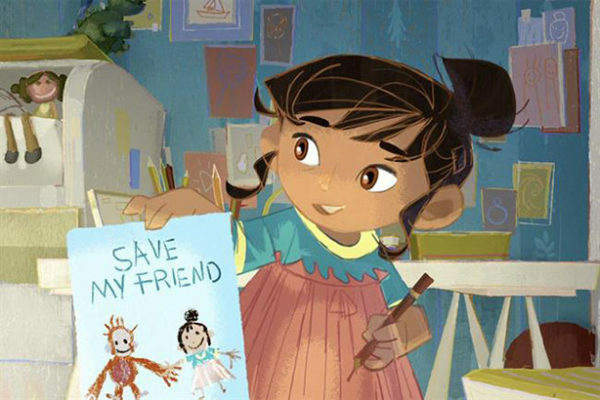 Iceland’s Rang-tan advert, despite not being shown caused a huge response online; arguably more noise than a simple advert. ITV have showcased what they have done in the year with an awe inspiring advertisement. The financial advertisers go for annoying to be catchy; think of Go Compare’s opera singer, or the dancing He Man & Skeletor. EE are worth a mention for the Kevin Bacon adverts; not sure whether they’re great or not mind. Likewise Maltesers adverts really thought outside the box but attracted a lot of complaints at the same time. KFC out of chicken? FCK! 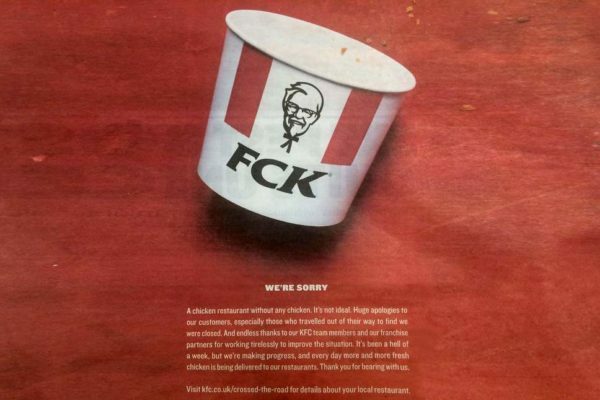 KFC were very clever playing to their mistake, where many restaurants were left without chicken with their play on their acronym FCK. So what are our favourite ones? Nik & Justine are in agreement that one of the most effective advertising campaigns possibly this decade has to be Volvo’s Super Bowl interception. The Super Bowl is not exactly one of the UK’s widely followed sports, but in the US it’s their version of winning the premier league. This happened 3 years ago now but in our opinion has yet to be surpassed and proves that a smart idea beats throwing money at a campaign every single time. Volvo didn’t spend on multi-million pound adverts with celebrities or clever special effects. They did something very different. Rather than explain, this video is less than 2 minutes & is mind blowing. Enjoy!